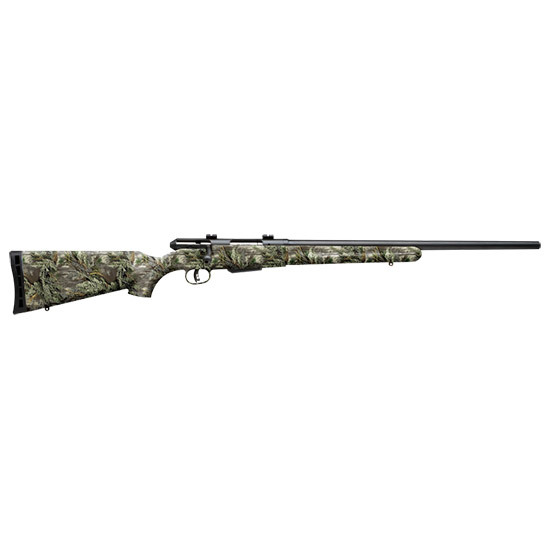 Savage 19980 25 Walking Varminter Bolt 223 Rem 22 4+1 Synthetic Realtree Xtra Green Stk Black in. The Model 25 Walking Varminter gives a versatile combination of agility and accuracy. This rifle features a 22 mediumcontour carbon steel matte black barrel thats sleeved for added rigidity. It comes equipped with Weaverstyle scope bases and triple pillar bedding. The Model 25 has a 3lug bolt that features a 60degree throw that allowing for a large diameter scope to be mounted low on the receiver. The revolutionary AccuTrigger adjustable from 2.5 3.25 lbs is standard on the Savage Model 25 as well as a 4round detachable box magazine. This models synthetic stock has a matte Realtree Xtra Green camo finish."